Our goal has been to help those who would prefer to borrow funds to go solar, to do so. 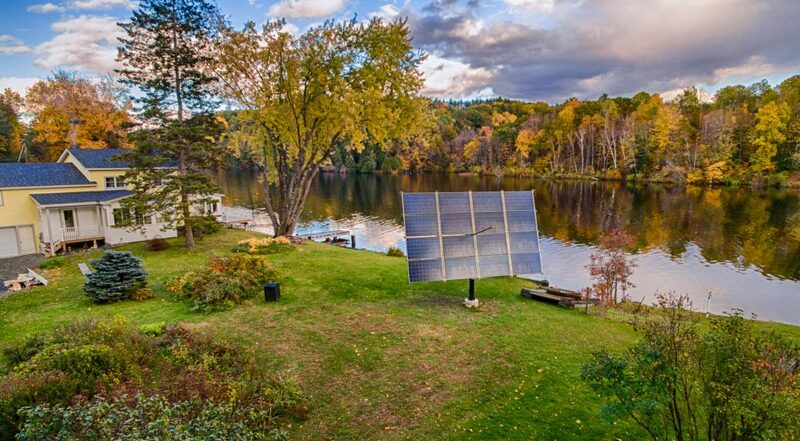 In most cases, Tracker owners can now go solar with an upfront payment of only 10% to 20% of the total cost of a Tracker, and a monthly loan payment that matches what they used to pay to their electric utility. Alternatively, they can finance the whole purchase with zero upfront payment but a higher monthly loan payment. And there’s no penalty if to pay down the loan early. We’ve been impressed with VSECU’s customer service, simple and quick application process, experience and focus on solar loans. And note that despite the VSECU name, these solar loans are available to residents of New Hampshire and Massachusetts, as well. Check out our new partnership site for all the details, get in touch right here online, give us a call at (802) 649-3700.